Please join NAFE colleagues and guests for a visit to the Sixth Floor Museum at Dealey Plaza located on the sixth floor of the Dallas County Administration Building (formerly the Texas School Book Depository) in downtown Dallas, Texas, overlooking Dealey Plaza at the intersection of Elm and Houston Streets. The museum examines the life, times, death, and legacy of President John F. Kennedy, and is located at the very spot from which Lee Harvey Oswald (according to four government forensic investigations) shot and killed the President on November 22, 1963. The museum's exhibition area uses historic films, photographs, artifacts and interpretive displays to document the events of the assassination, the reports by government forensic investigations that followed, and the historical legacy of the national tragedy. A museum webcam features a live view from the sniper spot. 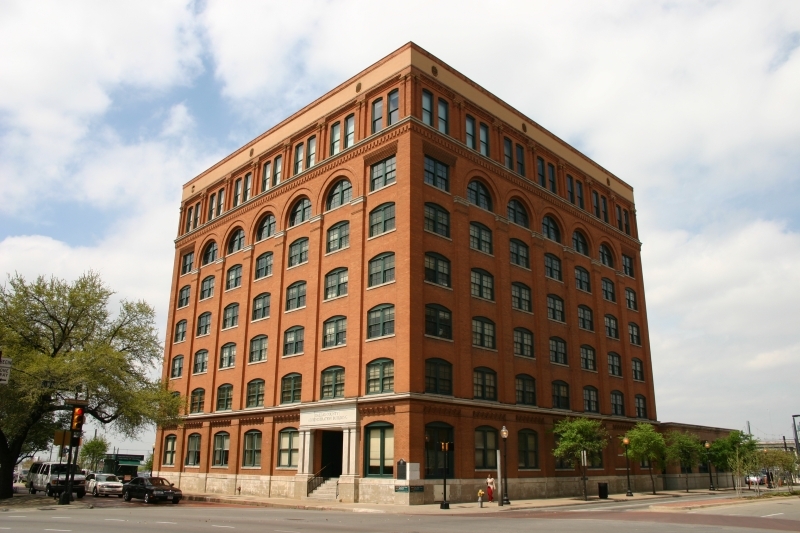 The Sixth Floor Museum at Dealy Plaza is a 15 minute walk from the Dallas Fairmont Hotel. If you are interested in participating in this special NAFE Group Event, please gather in the Dallas Fairmont Hotel Lobby on Thursday, June 23rd at 1:30 pm for a short walk (or cab ride) to the museum. Use this opportunity to make dinner arrangements and other plans for later that evening with your NAFE colleagues and guests.